What is Get Smart About Credit Day? The Get Smart About Credit program connects bankers with students and young adults to help them to develop a stronger understanding of credit and how to use it responsibly. As the economy and new legislation shape a new credit reality for young adults, the ABA Education Foundation is using the seventh annual Get Smart About Credit Day -- celebrated Oct. 15 and throughout the month -- to stress the fundamentals of wise credit use. "The credit reality for young adults will differ greatly from that of their parents," explains Laura Fisher, director of the ABA Education Foundation. "But while the landscape has changed, the journey is still the same; understanding how to use credit responsibly is the path to success." While I understand that we live in a world today that worships at the altar of the great FICO® score, I believe we do a disservice to people by encouraging them to go into debt and stay in debt to build a credit score. I think it would be better if we encouraged people to pay off debt as quickly as possible and build up their savings in order to weather our current economic climate. The United States would be in a better financial position if people ran their lives with minimum to zero amounts of consumer debt, had money in savings, and had mortgage payments that only consume 25% of their income. We would also benefit in this country if American businesses used different financial criteria for rating clients and customers than just a credit score based on debt levels. 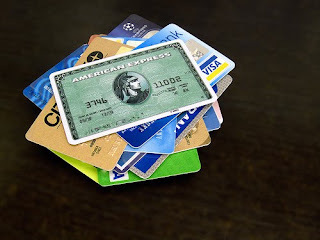 Get smart about credit, today - avoid it at all costs!